Businesses need lawyers sometimes in the same way that individuals need lawyers sometimes. In fact, there’s probably more of a need for good legal eagles in the business world than there is outside of it. 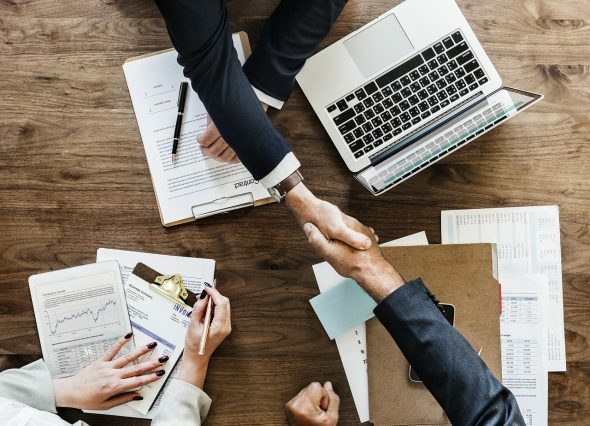 A small business might need just one or two lawyers on an occasional retainer, while a gigantic corporation could need its own team of lawyers working in-house around the clock. Either way, a company that doesn’t consult a lawyer on certain matters is playing with fire. Not doing so is putting the entire company at risk, which is in turn putting employees’ ability to pay their bills at risk. If there’s a breach of contract dispute, a commercial litigation lawyer will step in. The world of commercial litigation also encompasses topics like class action suits and shareholder issues. It may not seem terribly exciting, but a good commercial litigation lawyer will be eager to dig into a case and figure out the next steps. Such cases can often be settled outside the courtroom, but sometimes one or both sides will feel as if they have no choice but to bring the dispute to trial and let it be resolved by a judge or jury. Commercial litigation lawyers need a lot of skills, some of which are very specific. But generally speaking, they need to have cool heads and the ability to negotiate. It’s natural for things to get a little heated if, for example, two former business partners are fighting over who controls the company, but the lawyers should be above such feelings. It’s going to be a lot harder to find a solution that’s agreeable to both sides if even the lawyers are insulting each other. A commercial litigation lawyer is expected to broker an agreement between two parties. They don’t have to like anybody on the other side, but they have to be professional and get the job gone. A commercial litigation lawyer who lets their personal grievances rule the day is going to run out of clients in a hurry. Marijuana is still very much illegal on the federal level. In fact, it’s classified as a Schedule I substance, which means the government considers it to have a “high potential for abuse” and no acceptable medical use. The outlook is wildly different on the state level, as more and more states have gotten into the legal marijuana business. If all this seems incredibly complex and a little confusing, that’s because it is. That’s why the vast majority of would-be marijuana retailers call up an attorney to help them through the process of getting licensed by their state. Pot entrepreneurs in Los Angeles should call cannabis attorneys in California, while those trying to sell legally in Denver should call Colorado cannabis attorneys. Some states like California have allowed medical marijuana for a while and recreational marijuana more recently, while other places like Washington have been OK with both for a few years now. Every state is different, and business owners trying to do it on their own are setting themselves up for failure. Paying a lawyer for their services now can save you a lot of money and heartache down the road.